The Swain Event Periscope User Stats This is The Swain Events periscope stats website page. This is The Swain Events periscope stats website page. The Swain Event created profile on 2017-01-13 Time 20:00:05 and last update profile time is . The Swain Event total followers is 1462 and The Swain Event total following is 5 . The Swain Event twitter nickname is SwainEvent. The Swain Event is THE #SWAINEVENT. 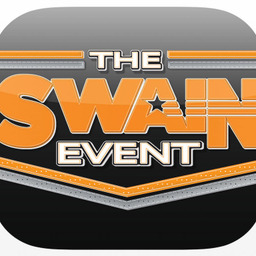 Weekdays 7-10am Download the FREE SWAIN EVENT APP RIGHT NOW for Apple/Droid. JOIN US! We’re LIVE from @LowTCenter studios, #SwainEvent fueled by @DeadEndBBQ. LET'S GO!!! We’re LIVE from @LowTCenter studios, #SwainEvent fueled by @DeadEndBBQ. Let's get the week started right! LIVE from @LowTCenter studios, #SwainEvent fueled by @DeadEndBBQ. Thursday is the best day of the week! We’re LIVE from @LowTCenter studios, #SwainEvent fueled by @DeadEndBBQ. You know why we're here! We’re LIVE from @LowTCenter studios, #SwainEvent fueled by @DeadEndBBQ. IT'S GO TIME! We’re LIVE from @LowTCenter studios, #SwainEvent fueled by @DeadEndBBQ. Let's get the week started right. We’re LIVE from @LowTCenter studios, #SwainEvent fueled by @DeadEndBBQ. Orange & White Game is around the corner. JOIN US! We’re LIVE from @LowTCenter studios, #SwainEvent fueled by @DeadEndBBQ. Good morning beautiful people! We’re LIVE from @LowTCenter studios, #SwainEvent fueled by @DeadEndBBQ. Let's get it, let's go! We’re LIVE from @LowTCenter studios, #SwainEvent fueled by @DeadEndBBQ. Friday! We’re LIVE from @LowTCenter studios, #SwainEvent fueled by @DeadEndBBQ. Tuesday is the best day of the week! JOIN US! We’re LIVE from @LowTCenter studios, #SwainEvent fueled by @DeadEndBBQ. Monday's Edition: We’re LIVE from @LowTCenter studios, #SwainEvent fueled by @DeadEndBBQ. It's FRIDAY!!! JOIN US! We’re LIVE from @LowTCenter studios, #SwainEvent fueled by @DeadEndBBQ. GAMEDAY!!!!!! JOIN US! We’re LIVE from @LowTCenter studios, #SwainEvent fueled by @DeadEndBBQ. Let's get it, let's go. JOIN US! We’re LIVE from @LowTCenter studios, #SwainEvent fueled by @DeadEndBBQ. It's Tuesday! We’re LIVE from @LowTCenter studios, #SwainEvent fueled by @DeadEndBBQ. Sweet Sixteen bound!!! JOIN US! We’re LIVE from @LowTCenter studios, #SwainEvent fueled by @DeadEndBBQ. #Vols #MarchMadness! We’re LIVE from @LowTCenter studios, #SwainEvent fueled by @DeadEndBBQ. LET'S GO! We’re LIVE from @LowTCenter studios, #SwainEvent fueled by @DeadEndBBQ. March Madness is HERE! JOIN US! We’re LIVE from @LowTCenter studios, #SwainEvent fueled by @DeadEndBBQ. It's FRIDAY.....LET'S GO!We’re LIVE from @LowTCenter studios, #SwainEvent fueled by @DeadEndBBQ. It's Wednesday! JOIN US! We’re LIVE from @LowTCenter studios, #SwainEvent fueled by @DeadEndBBQ. Let's get it, let's go! ! We’re LIVE from @LowTCenter studios, #SwainEvent fueled by @DeadEndBBQ. Monday is the best day of the week! We’re LIVE from @LowTCenter studios, #SwainEvent fueled by @DeadEndBBQ. It's FRIDAY!!!!! JOIN US! We’re LIVE from @LowTCenter studios, #SwainEvent fueled by @DeadEndBBQ. It's Thursday... JOIN US! We’re LIVE from @LowTCenter studios, #SwainEvent fueled by @DeadEndBBQ. Wednesday's edition, lets get it! We’re LIVE from @LowTCenter studios, #SwainEvent fueled by @DeadEndBBQ. We are back... for real, for real. LET'S GOOOOOOOO! We’re LIVE from @LowTCenter studios, #SwainEvent fueled by @DeadEndBBQ. It's Friday!!!! Let's go....We’re LIVE from @LowTCenter studios, #SwainEvent fueled by @DeadEndBBQ. Wednesday, LET'S GO! We’re LIVE from @LowTCenter studios, #SwainEvent fueled by @DeadEndBBQ. LETS GO !!!! JOIN US! We’re LIVE from @LowTCenter studios, #SwainEvent fueled by @DeadEndBBQ. FRIDAY!!!!!! JOIN US! We’re LIVE from @LowTCenter studios, #SwainEvent fueled by @DeadEndBBQ. Thursday! We’re LIVE from @LowTCenter studios, #SwainEvent fueled by @DeadEndBBQ. Let's go!!! JOIN US! We’re LIVE from @LowTCenter studios, #SwainEvent fueled by @DeadEndBBQ. Tuesday, LET'S GO!!!!!!! We’re LIVE from @LowTCenter studios, #SwainEvent fueled by @DeadEndBBQ. Lets get it! JOIN US! We’re LIVE from @LowTCenter studios, #SwainEvent fueled by @DeadEndBBQ. Let's GOOOOOOO. It's Friday. JOIN US! We’re LIVE from @LowTCenter studios, #SwainEvent fueled by @DeadEndBBQ. WE LOVE YOU, Happy Valentine's Day. JOIN US! We’re LIVE from @LowTCenter studios, #SwainEvent fueled by @DeadEndBBQ. Let's goooooooo Wednesday! JOIN US! We’re LIVE from @LowTCenter studios, #SwainEvent fueled by @DeadEndBBQ. Let's go Tuesday! JOIN US! We’re LIVE from @LowTCenter studios, #SwainEvent fueled by @DeadEndBBQ. HUGE SHOW TODAY!!!! JOIN US! We’re LIVE from @LowTCenter studios, #SwainEvent fueled by @DeadEndBBQ. ITS NATIONAL SIGNING DAY LIVE FROM @DeadEndBBQ. LETSSSSSSS GO!!!!!!! JOIN US! We’re LIVE from @LowTCenter studios, #SwainEvent fueled by @DeadEndBBQ. Thursday: JOIN US! We’re LIVE from @LowTCenter studios, #SwainEvent fueled by @DeadEndBBQ. Tuesday is the best day of the week! We’re LIVE from @LowTCenter studios, #SwainEvent fueled by Dead End BBQ JOIN US! Monday! JOIN US! We’re LIVE from @LowTCenter studios, #SwainEvent fueled by @DeadEndBBQ. ITS FRIDAY! JOIN US! We’re LIVE from @LowTCenter studios, #SwainEvent fueled by @DeadEndBBQ. Thursday is the best day of the week. JOIN US! We’re LIVE from @LowTCenter studios, #SwainEvent fueled by @DeadEndBBQ. Monday's Edition of the #SwainEvent. JOIN US! We’re LIVE from @LowTCenter studios, #SwainEvent fueled by @DeadEndBBQ. IT'S FRIDAY! JOIN US! We’re LIVE from @LowTCenter studios, #SwainEvent fueled by @DeadEndBBQ. Wednesday's Edition: JOIN US! We’re LIVE from @LowTCenter studios, #SwainEvent fueled by @DeadEndBBQ. Tee Martin Tuesday! JOIN US! We’re LIVE from @LowTCenter studios, #SwainEvent fueled by @DeadEndBBQ. FRIDAY IS THE BEST DAY OF THE WEEK! Join us. We’re LIVE from @LowTCenter studios, #SwainEvent fueled by @DeadEndBBQ. Thursday's edition: We’re LIVE from @LowTCenter studios, #SwainEvent fueled by @DeadEndBBQ. First show of 2019. JOIN US! We’re LIVE from @LowTCenter studios, #SwainEvent fueled by @DeadEndBBQ. We are back. JOIN US! We’re LIVE from @LowTCenter studios, #SwainEvent fueled by @DeadEndBBQ. CHRISTMAS EVE EDITION.... JOIN US! We’re LIVE from @LowTCenter studios, #SwainEvent fueled by @DeadEndBBQ. It's FRIDAY, and we're LIVE from Premier Surgical, #SwainEvent fueled by @DeadEndBBQ. Thursday is the best day of the week! JOIN US! We’re LIVE from @LowTCenter studios, #SwainEvent fueled by @DeadEndBBQ. Early Signing Day..... JOIN US! We’re LIVE from @LowTCenter studios, #SwainEvent fueled by @DeadEndBBQ. Thursday's edition of the #SwainEvent JOIN US! We’re LIVE from @LowTCenter studios, #SwainEvent fueled by @DeadEndBBQ.